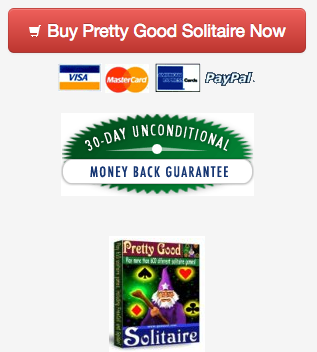 A new version of Pretty Good Solitaire for iPad is now available! If you have purchased the app, go to the App Store Updates area, and the update should be there if you have not already downloaded it. The 20 new games are Aces and Kings Easy, Canberra, Cardiff, Charlotte, EastCliff, Fifty Bandits, Forty Eight and Cells, Fourteen Up, Fred's Three, FreeCell Twice, Nine by Two, Nines,Quadruple Klondike Strict, Seventeens, Sixteen Puzzle, Sixteens, Sleepers, Souter, Tens, and The Bold. Q. Does Pretty Good Solitaire for Windows work in the new Windows 8.1? Q. 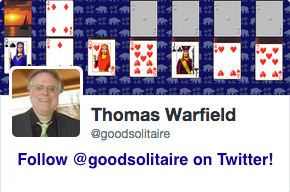 Does Pretty Good Solitaire Mac Edition work in the new OS X Mavericks? This game is at FreeCell Twice .